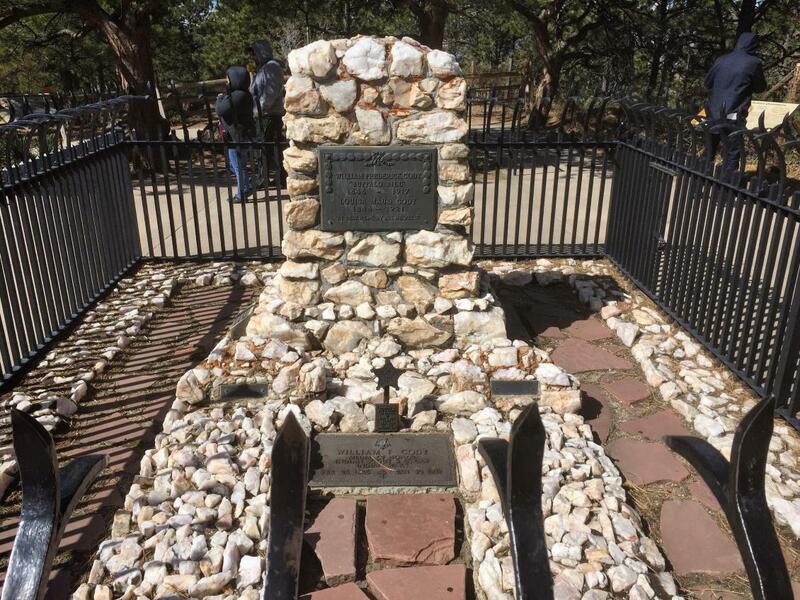 Who’s Buried in Buffalo Bill’s Grave? Learn The True Answer on June 3, 2017! It sounds like a trick question: Who’s buried in Buffalo Bill’s grave? However, there are some people up in Cody, Wyoming who would have you believe that the body resting in the beautiful gravesite on top of Lookout Mountain, high above the town of Golden, Colorado, is not really Buffalo Bill Cody. They say Buffalo Bill’s body was switched before it was buried. Well, nonsense. As everyone will find out at a special event on June 3, 2017, not only was Buffalo Bill buried with an open casket on June 3, 1917, but it was in front of thousands and thousands of witnesses in the largest funeral in Colorado history. To commemorate this historic occasion, on June 3, 2017, exactly 100 years later, there will be a re-creation of Buffalo Bill’s burial in the exact same spot. Re-enactors and historians will be on hand to answer questions, dispel myths, and continue the legend of this amazing man, who was just recently inducted into the Denver & Colorado Tourism Hall of Fame. So who was Buffalo Bill? He was the world’s first super star. In his youth, he was the real deal – an army scout, express rider, buffalo hunter and pioneer. Then later in his life, from 1883 to 1913, he set out to re-create the romance and thrill of the rapidly changing Old West by staging the world’s first show business tour – a circus-like event that was called “Buffalo Bill’s Wild West.” There has never been anything else quite like. Buffalo Bill’s Wild West performed in more than 1,000 cities in a dozen nations with a cast of 640 cowboys, Indians, vaqueros and rough riders. It took a special train of 52 box cars to move his show, which included the third largest buffalo herd on earth. As a comparison, Beyonce’s recent world tour (considered by many to be the largest modern tour) had just 20 backup dancers and was staged in only 41 cities. Kings, queens and presidents attended Buffalo Bill’s Wild West and it is estimated that more than 25 million words were written about the famous scout during his lifetime, making his silver goatee, buckskin jacket and wide Stetson hat more recognizable and famous than anyone in the world at the time. When he died in 1917, while visiting his sister in Denver, his body was put on view in the state capitol. And there began the controversy. He died in January, but could not be buried on a frozen mountain top, at his request, until June. The body was stored in what is now Lola’s Restaurant in Denver (then a mortuary). In the early 1900s, some people from Wyoming claimed they snuck down, took Buffalo Bill’s body, and replaced him with another body from the mortuary. Unfortunately for this legend, their story is undone by the fact that Bill had an open casket at his burial on top of Lookout Mountain in 1917, with thousands of witnesses paying tribute to the famous scout who they certainly recognized. You can get a glimpse of this superstar and his exciting life at the Buffalo Bill Memorial Museum. Located on top of Lookout Mountain, just a short walk from his gravesite, the museum has many of his costumes, guns, hats and posters from the show, as well other artifacts from the many people who appeared in his shows, including his close friend, gunfighter Wild Bill Hickock, and Chief Sitting Bull, who wiped out Custer at the Little Big Horn. Kids (and adults) can try on western outfits for Facebook photos, and the view from the museum is perhaps the best in all of Denver, taking in both snowcapped mountains and the Great Plains.